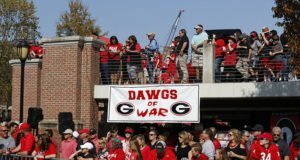 ATHENS, Ga. – Fifth-ranked Georgia held a two-hour workout Wednesday in preparation for its upcoming home finale against Georgia Tech. Saturday’s contest will close out the regular season for the Bulldogs (10-1) as Tech comes to town with a 7-4 mark. Both teams are riding four-game winning streaks. 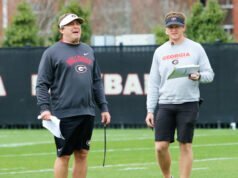 Speaking on the SEC head coaches weekly teleconference before practice, Georgia head coach Kirby Smart said the Bulldogs are ready to honor their 25-member senior class. 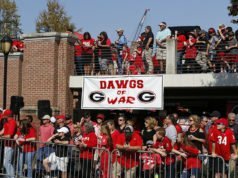 Georgia enters Saturday’s game averaging 39.6 points a game while Tech checks in at 36.9 points a game. The Bulldogs scoring defense ranks 12th nationally, allowing just 16.8 points a game while Tech surrenders 27.5 points a game. 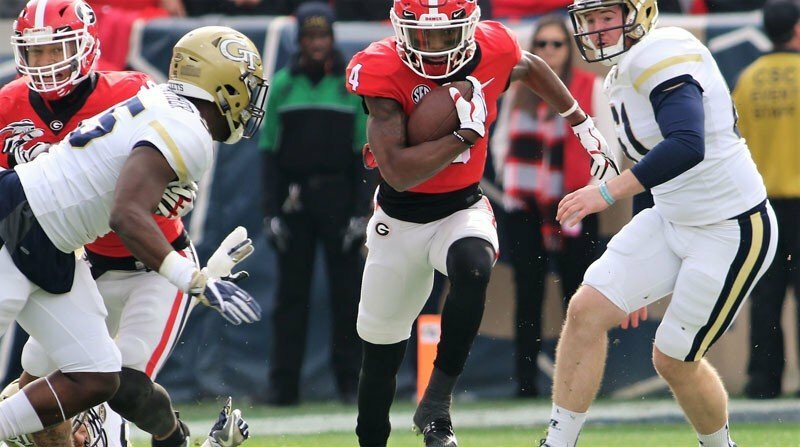 The Bulldogs are 10th nationally in rushing with an SEC-best 257.5 yards a game. Tech’s triple-option offense averages 353.7 rushing yards a game, which leads the nation. Tech’s leading rushers are quarterbacks TaQuon Marshall (857 yards on 174 attempts with 11 touchdowns) and Tobias Oliver (808 yards on 142 attempts with 12 touchdowns) while the top running back is Jordan Mason (637 yards on 102 attempts with 7 touchdowns). 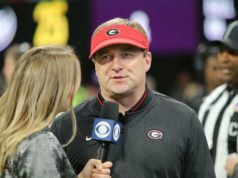 Smart was asked how the leadership on this year’s Georgia team has been, and how it has managed to follow up last season’s success. Georgia’s senior class is 41-11 overall, winning SEC Eastern Division titles in 2017 and 2018, the 2017 SEC title, the 2018 Rose Bowl Game and an appearance in the 2018 College Football Playoff National Championship game. Following practice, the Bulldogs will have a 24-hour window to celebrate the Thanksgiving holiday with friends and family. Kickoff at Sanford Stadium Saturday is slated for noon ET on the SEC Network.